Sign up and receive Property Email Alerts of Houses for sale in Malgas, Swellendam. The Call of The Fish Eagles! Wake up to the calls of the fish eagles at sunrise! 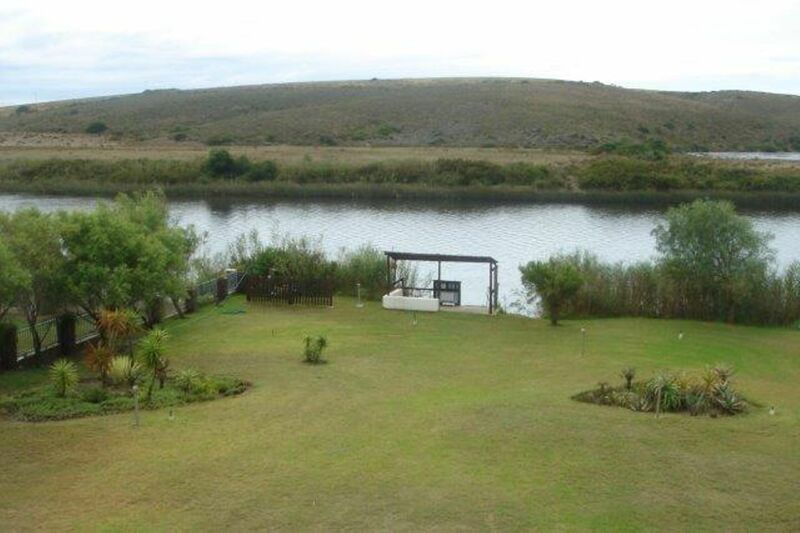 This holiday home on the banks of the Breede River has four bedrooms, 4 bathrooms, three of which are en suite, as well as a two bedroom flat with one bathroom and kitchenette. The two en-suite bedrooms upstairs with their own private balconies overlook the Breede River. A third, large balcony provides views over the river and surrounding hills. The wide open fireplace in the open plan lounge creates a cosy atmosphere on cold winter days to relax with a glass of red wine whilst the beautifully built and equipped bar makes entertaining a breeze. The large, fully equipped, modern kitchen leads to both outside braai areas with built-in braais on the eastern and western verandahs. Relax in the heated Jacuzzi overlooking the river. Extra double garage and storage room which could be converted to a wine cellar. Launch your motorboat from your own private jetty and join the fish eagles on their adventures or take your family and friends on a cruise along the Breede River. This property is offered lock stock and barrel! Cabin boat and 100HP motor included. The Breede River (which means 'broad river') rises in the mountains of Ceres in the Western Cape and flows for some 320km through the Bredde River Valley on its way to the Indian Ocean. It is the longest navigable river in the Western Cape and provides vital irrigation for the fruit and wine farms that can be found in the Breede River Valley, flowing past some important agricultural towns like Worcester and Swellendam. It's a recreational playground .....Angling, swimming, paddling, wine tasting, river rafting....these are just some of the pleasures you can enjoy when you follow the course of the Breede River from source to the sea. On its way to the sea, the Breede River flows past the Bontebok National Park which has a delightful campsite and comfortable chalets. Here visitors can go swimming, paddling, angling (with a valid permit) or simply relax with a picnic basket on its banks. The river meets the sea at Witsand, a beautiful estuary where the sea tides can push up as far as 50km into the river, providing an important ecological haven for young fish. Witsand and nearby Cape Infanta is also a premier whale-watching destination in early summer. The estuary is favoured by anglers who fish for spotted grunter and dusky kob in its waters whereas a few kilometres upstream the calmer waters are popular with watersport enthusiasts. Wine lovers will delight in visiting one of the many wine estates to be found in this region. The longest wine route in the world, Route 62, starts here at Robertson in a region famous for its hanepoot and muscadel dessert wines. Those with energy to spare might like to try water sports such as river rafting. Sign-up and receive Property Email Alerts of Houses for sale in Malgas, Swellendam.